From April 1, 2016, all employers in Singapore are required to issue itemised pay slips and key employment terms (KETs) to employees covered under the Employment Act (EA). Additionally, a new framework is also in place to treat less severe breaches of the EA. According to the Ministry of Manpower (MOM), these changes are in place to improve employment standards; as well as facilitate the resolution of any employment-related disputes. This is a win-win for everybody as – while employees will have a better understanding of how their salaries are calculated, their employment terms and benefits; employers, on the other hand, will have to deal with lesser disputes at the workplaces. Moreover while announcing these changes in August 2015, MOM assured employers of a light-touch and educating approach. Employers also have the option of taping into an assistance package which includes funding, one-to-one assistance for SMEs, software for generating itemised pay slips, and providing blank payslips and KETs templates that can be filled in by hand. All employees covered under the Employment Act must issue itemised pay slips, which must be given together with the payment or within three working days of payment. This may be in soft or hard copy (including handwritten). 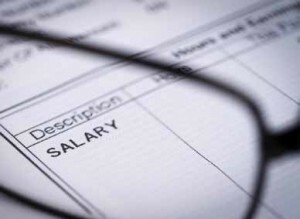 In the case of termination or dismissal, employer must give pay slips together with the outstanding salary. Additionally, employers must keep a record of all pay slips issued. 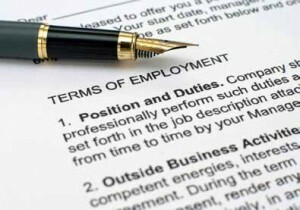 Employers must issue KETs in writing (soft or hard copy including handwritten) to all employees who enter into a contract of service on or after April 1, 2016, are covered by the Employment Act, and are employed for 14 days or more. Please note that this refers to the length of contract, not the number of days of work. The common KETs to be included (if applicable) are leave policy, medical benefits, working arrangements, salary period, basic salary, fixed allowances, fixed deductions, probation period, notice period etc. Notably, these KETs can also be provided through the employee handbook or company intranet. But MOM assured the employers that it will “will adopt a light-touch enforcement approach and focus on educating employers in the first year”. Finally, to help employers cope with the changes in place since April 1, 2016, the MOM has announced an assistance package. This includes a guidebook published in all the four national languages – English, Tamil, Malay and Mandarin – on how to comply with KETs and itemised pay slips. This is available at MOM Services Centre, National Trades Union Congress, Singapore National Employers Federation, Singapore Business Federation, Association of Small and Medium Enterprises, Tripartite Alliance for Fair and Progressive Employment Practices and SME Centres. Ongoing seminars and workshops are also being organised by the Singapore National Employers Federation, Singapore Business Federation, Tripartite Alliance for Fair and Progressive Employment Practices, and Ong Teng Cheong Labour Leadership Institute. Additionally, SMEs can approach the business advisers at any of the SME Centres for one-to-one assistance on the EA, including the guidance on relevant Government assistance schemes. SMEs are also being encouraged to use tools such as SP-Pay pay slip software developed by students from Singapore Polytechnic’s (SP) Diploma in Business Information Technology. Moreover, businesses with complex needs can apply for funding to adopt IT solutions for the new Employment Act requirements. One of the most popular schemes in this regard is the Productivity and Innovation Credit (PIC). “Businesses that send their HR officers for Employment Act-related training, or acquire or upgrade their IT systems to issue pay slips, etc., can tap on the PIC scheme,” informs the MOM. 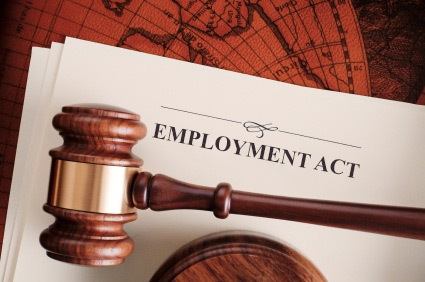 Need help staying compliant with the recent changes in the Employment Act? Our specialists can help you. Contact us now for a free consultation.